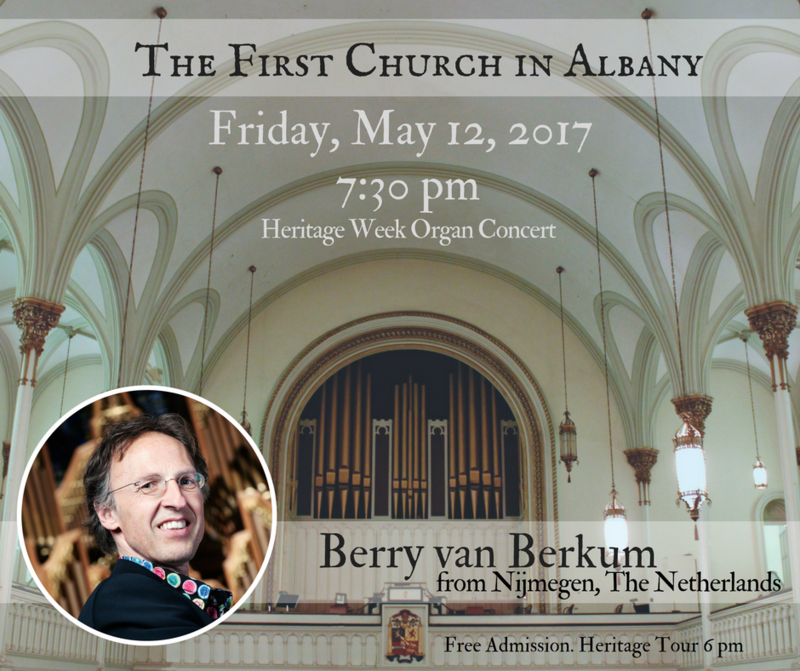 Renowned Dutch Organist Berry Van Berkum will play a free concert May 12th at 7:30 at First Church. He will be playing works of Vierne, Widor, Bach, Messiaen and Dutch composers, as well as improvising on our magnificent 4 manual Austin organ. The concert is one of the events of Heritage Weekend, celebrating First Church’s 375 Anniversary, and is made possible by the many people who have made memorial gifts to the Music Fund and a generous donation by the Northeast NY Chapter of the American Guild of Organists. Admission is free. A free will offering will be collected. 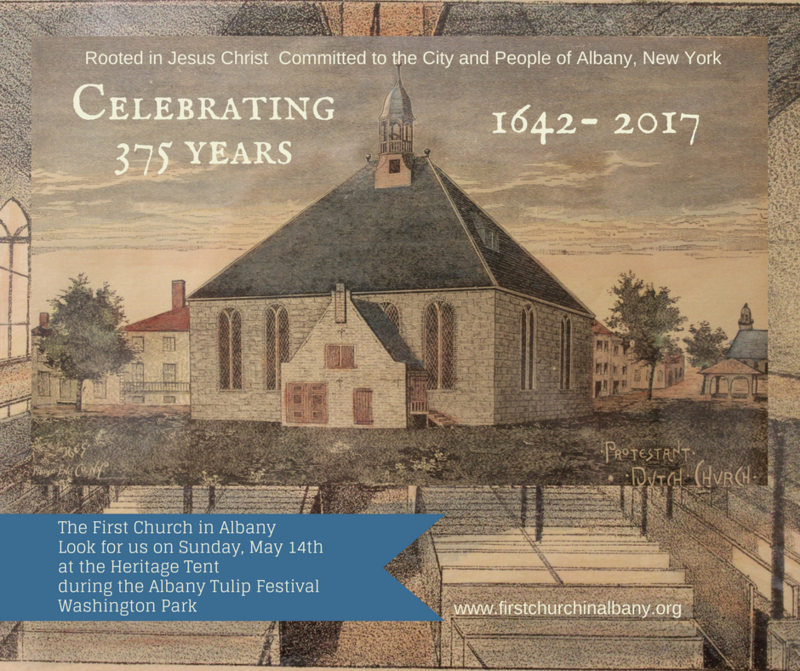 ​Prior to the concert, First Church in Albany historians will be giving a special Heritage Tour starting at 6 pm. Delft Tiles from Albany's sister city Nijmegen, Netherlands, given to the First Church in thanks after the World War II clothing and food supply drop will be on view and discussed. The Psalmist says, "Come into God’s presence with singing. Praise God with trumpet, tambourine, strings and organ." The Rev. Dr. Allan Janssen, First Church's Theologian in Residence, will be our guest preacher. We’ll have tours of our sanctuary after the service. And, as First Church in Albany has each Sunday for 375 years, we will worship together.